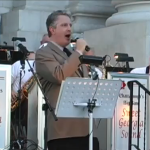 From the June 29, 2013 Hamilton County Courthouse Centennial Celebration. Sweet Georgia Sound performs our closer for the night, Sing Sing Sing. Great drum and percussion work by David and Marleah Payne. Melanie has a little Fever. 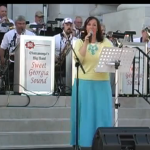 From the June 29, 2013 Centennial Celebration at the Hamilton County Courthouse Melanie Willetts sings Fever. Amanda Rose Cagle on bass. Thanks to Jim Good for this video. 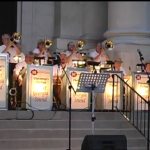 From the Hamilton County Courthouse Centennial on June 29, 2013 Melanie performs Summertime. Ray Park on alto saxophone and Stephen Bearden on trumpet. Thanks to Jim Good for yet another video.